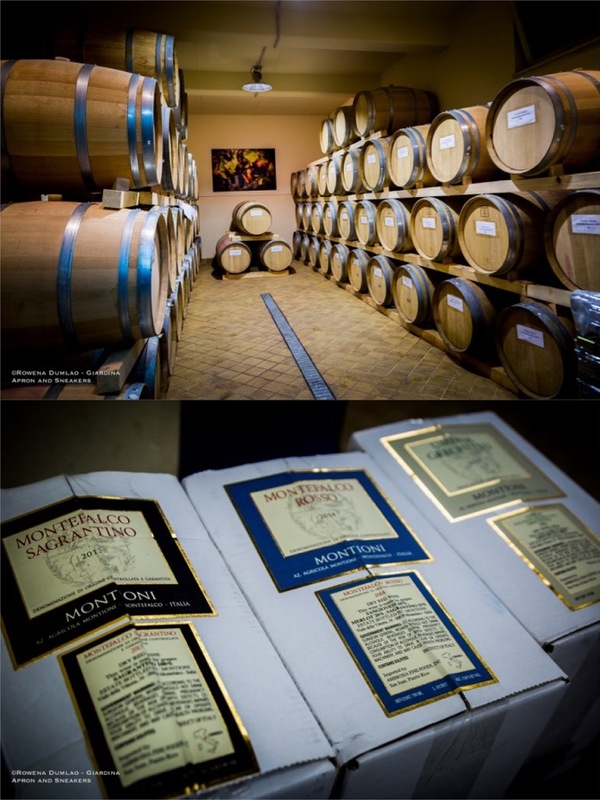 Another winery in Montefalco that I want to introduce to you is family-owned Montioni Oil Mill & Winery that was established in 1972. 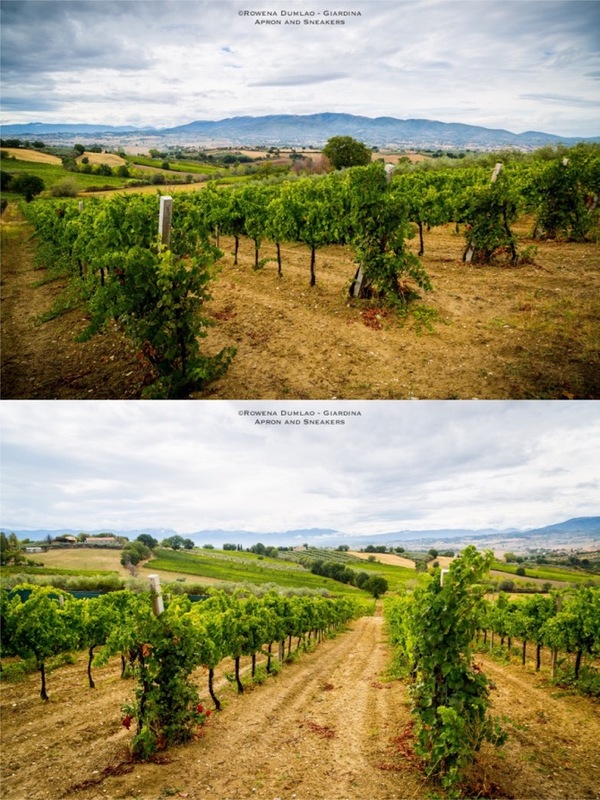 The production area is located just a few hundred meters away from the door of the ancient town of Montefalco. 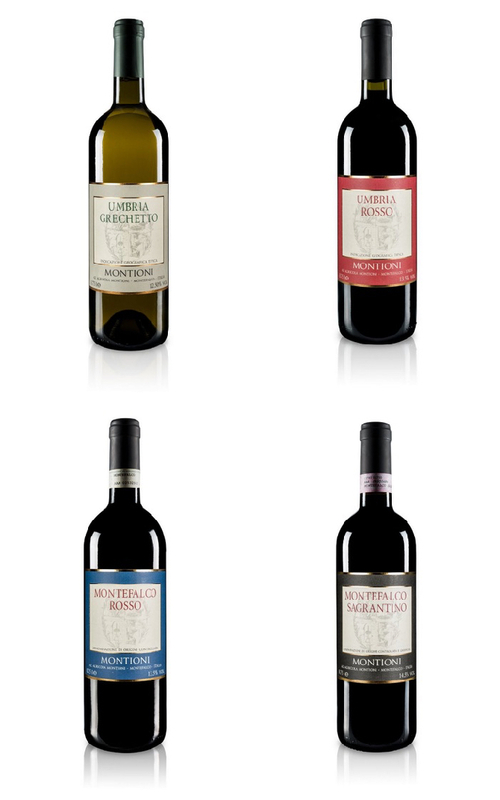 Here you can meet Paolo Montioni and his family, visit their winery and taste their wines. 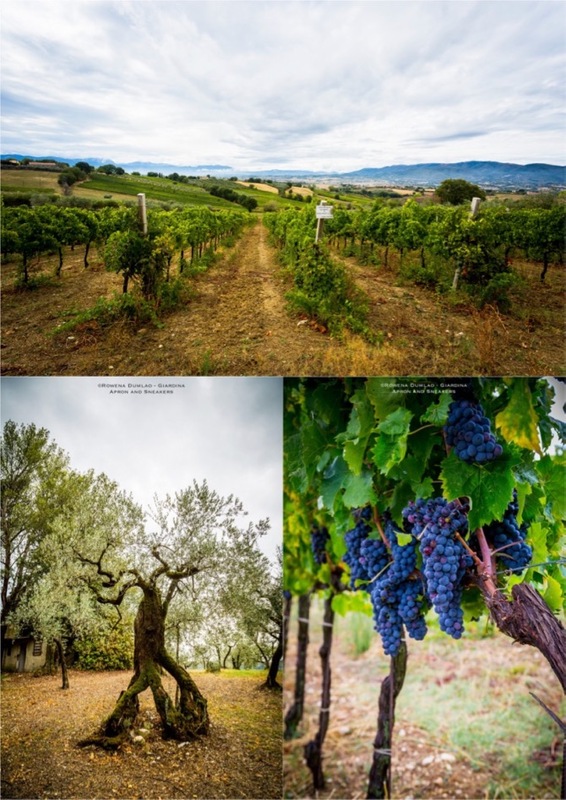 Montioni has 20 hectares in different patches of land in the heart of Montefalco where vineyards, olive orchards and cereal crops are cultivated. 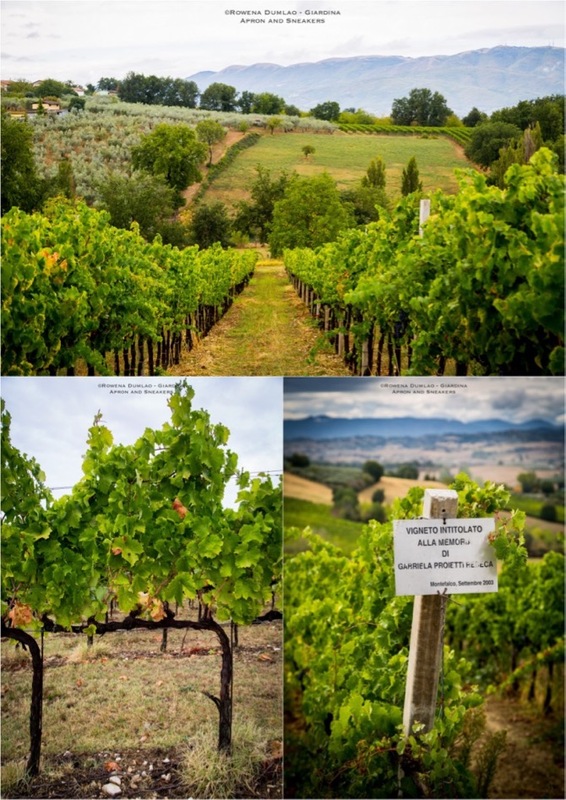 One hectare of the vineyards is located in the cru zone of Pietrauta, where the very first bottled Sagrantino was cultivated from and where the vines grow in excellent conditions. The vineyards of Montioni that border with the one of Cantina Fratelli Pardi is located at the lower part of the town that gently slopes down. 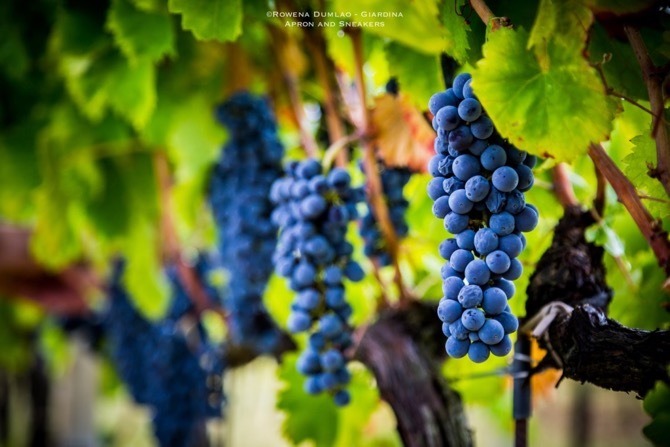 Sagrantino, Merlot, Sangiovese and Grechetto are grown with attentive care while the Pietrauta cru, a few kilometers away, is dedicated to Sagrantino. Just a few kilometers from the winery is another patch of land on a hilltop where their olive orchard is located. 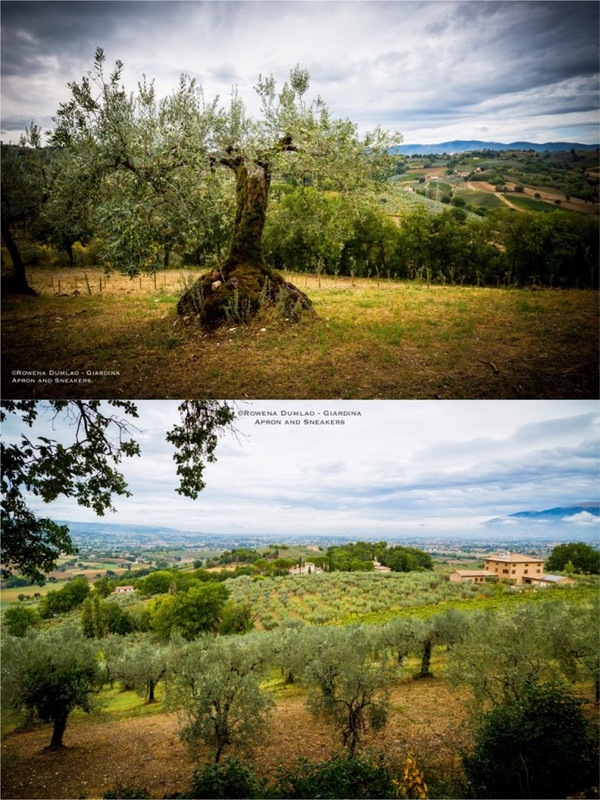 The elevated position of the orchard gives a spectacular panorama of a part of the Umbrian territory. 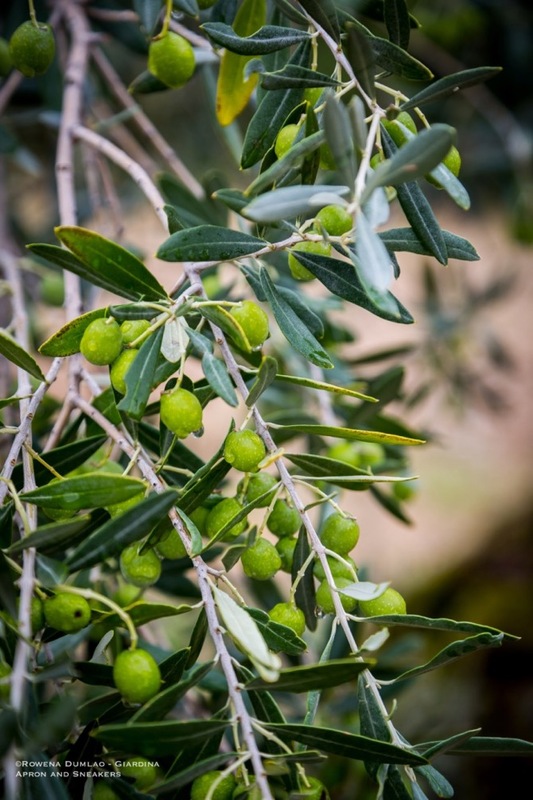 Some very old trees with twisted trunks yield excellent olives for making their extra virgin olive oil, which has already won an award for being top 5 in the world in the Olive Oil Competition Harmony held by Alma and Olive Oil Agency. 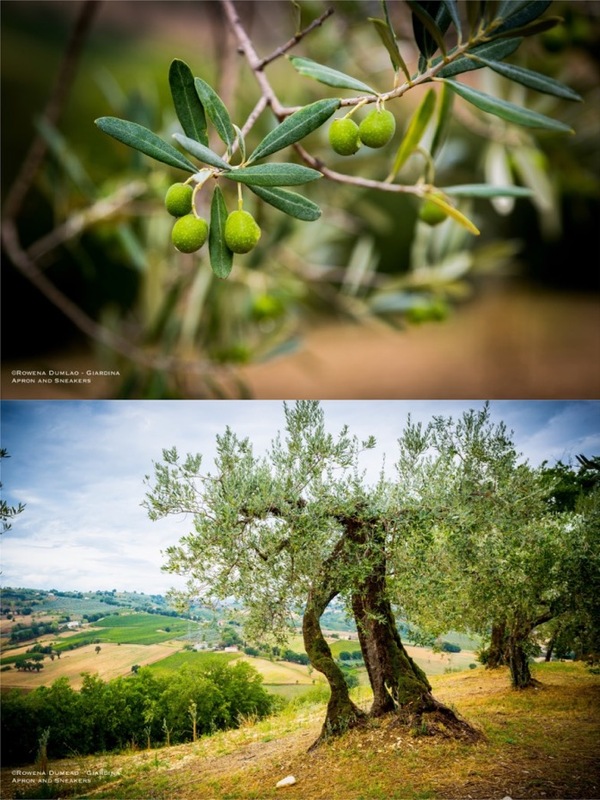 Like most wineries in Italy, extra virgin olive oil production seconds the importance of the wine production. The Umbria Grechetto IGT, their only white made of the typical white grapes of Umbria is a young and fresh straw yellow wine with floral notes and mature fruits. Aged in stainless steel for 3 months and another 3 in the bottle. The Umbria Rosso IGT is the starter red wine of Montioni that's a blend of 50% Sangiovese and 50% Merlot. It's a young red wine that's been fermented in stainless steel and aged in the bottle for 4 months. It's a fresh ruby red wine with nuances of spices and cherries in alcohol. The Montefalco Rosso DOC is a blend of 65% Sangiovese, 20% Merlot, 15% Sagrantino that is aged in large French oak barrels for 12 months and another 4 months in the bottle before released for selling. It has a rich ruby red color with complexities to the nose and palate and distinguished tannins. The Montefalco Sagrantino DOCG, the ambassador of the Montioni Winery, is made with the Montefalco's celebrated grape, the Sagrantino. Macerated with the skin for 25 days then aged in French oak barrique for 24 months and 6 months in the bottle. 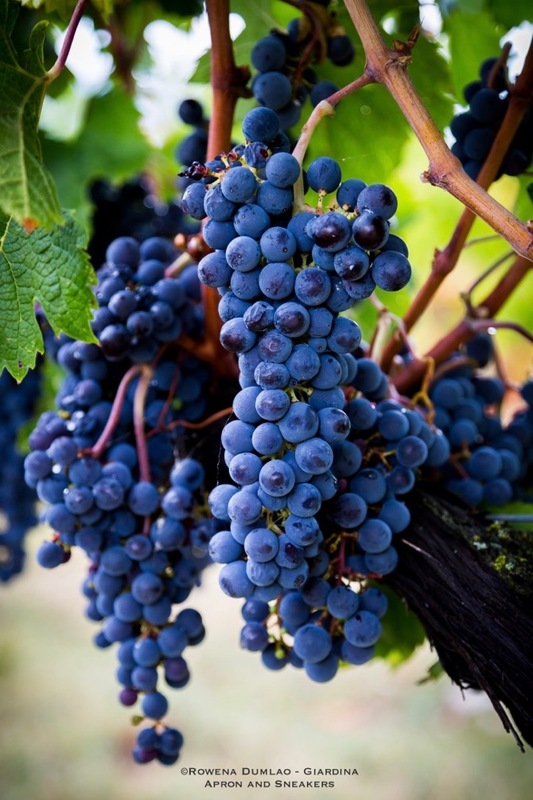 It's an important full-bodied wine with intense purple red color and highlights of garnet red. Intense and complex in the nose and mouth with persistent tannins. In 2019, a Special Edition of Montioni's Sagrantino will be released. Named Ma.Gia, an acronym of Paolo Montion's two sons (Matteo and Giacomo), it is made in honor of them from their father. Harvested in 2015 from the most special Sagrantino vines in a single vineyard of Pietrauta cru, the wine is currently aging in a couple of French oak barrique then it will be bottled in December 2018 and released to the public by mid-2019. Around 500 bottles will be released and, already, there is a list of pre-orders for this wine. 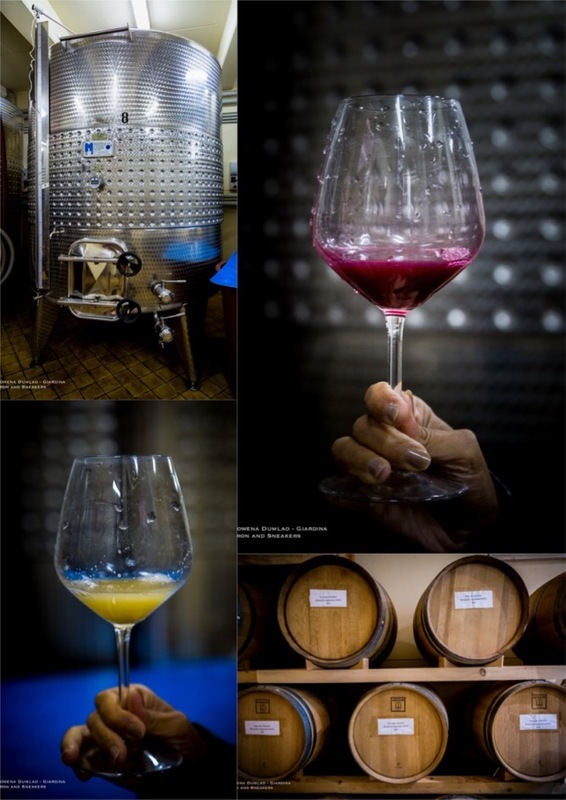 On the morning of my visit to Montioni Winery, the harvesting of the grapes has just finished and the grapes have been in the fermentation stage in the stainless steel tanks for ten days. 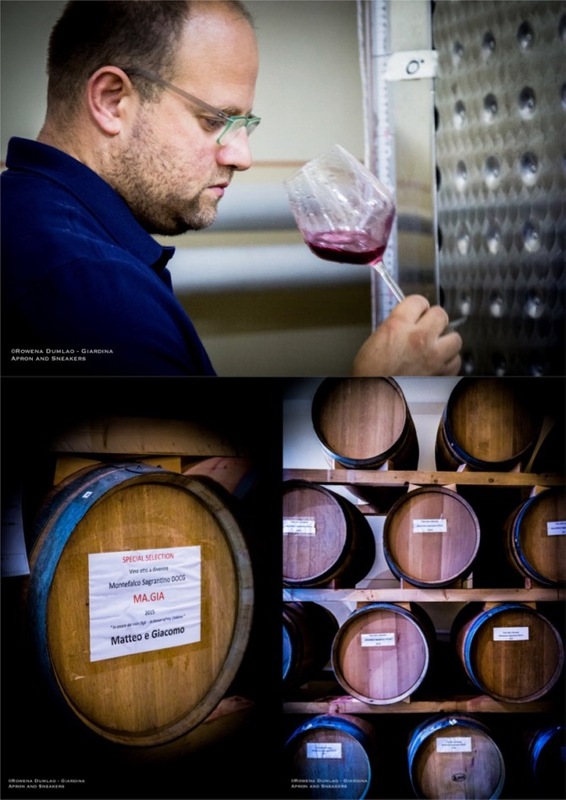 I tried both the Grechetto and the Sagrantino straight from the tanks and at the starting phase, the characteristics of both grapes were already showing through with very distinct flavors.